A food allergy occurs when your immune system responds abnormally to proteins in certain foods. When you think of food allergies, foods such as nuts, eggs and shellfish most likely come to mind. While a lettuce allergy is uncommon, it does exist. A lettuce allergy differs from an intolerance in that the immune system is involved in allergic reactions. Talk to your doctor if you suspect that you have a lettuce allergy, especially because food allergy reactions can be life threatening. You may experience allergic reactions such as itching or swelling of the mouth, hives, digestive upset or tightening of the throat, if you're allergic to lettuce. 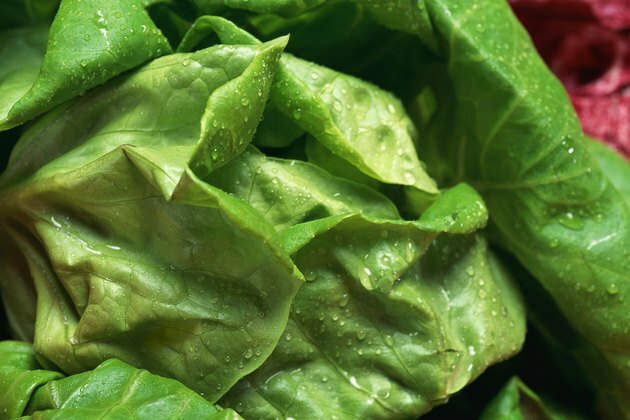 Researchers in Spain sought to determine the specific allergen responsible for causing anaphylaxis -- a severe allergic reaction -- in two patients who had eaten lettuce. The team identified lipid transfer protein LAC S-1 as the allergen in both cases. The results were published in the 2009 edition of the "Journal of Investigational Allergology and Clinical Immunology." Your doctor can perform a test, called an immunoassay, to determine whether you have a lettuce allergy. You will need to avoid lettuce if the test comes back positive. Is There Anything That Helps Digest Lettuce?